Direct Communications faster streaming broadband just got even better. 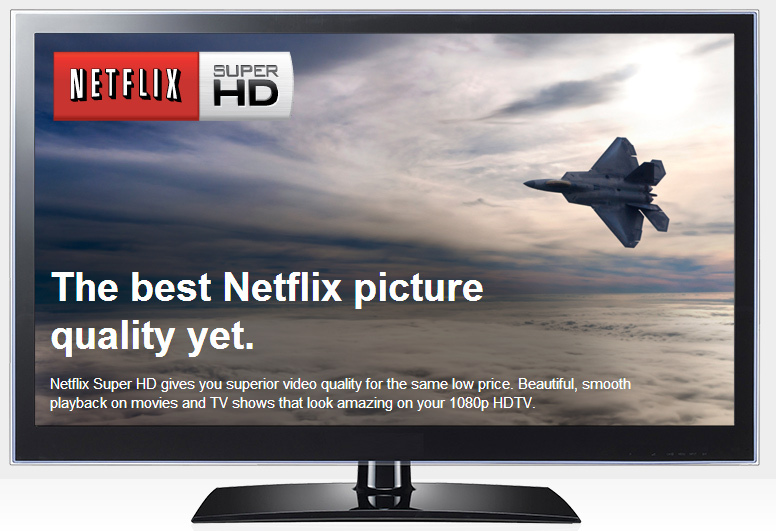 Directcom is pleased to announce that our broadband service is now Netflix Super HD enabled. This means that Directcom customers will now automatically be able to watch movies and TV shows in Super HD on a supported device if your connection is fast enough. ( At least 8Mb/s download for best quality.) Super HD delivers the best Netflix picture quality yet, even better than regular HD, because of better encoding technology and an incredibly clear, smooth 1080p picture with less compression. Super HD is only available via Internet Providers that are part of the Netflix Open Connect network. Our move onto the Open Connect Network was made technically possible by Netflix co-locating their servers in Syringa Networks main Central Office in Boise, Idaho this week. Each night, Netflix updates these servers with their highest demand content. Direct Communications, as an owner-partner of Syringa Networks, is now part of the Netflix Open Connect network. What this does is move the Netflix content closer to the end customer. Faster streaming broadband means no buffering when watching online video. When Netflix first announced their Super HD network opportunity several months ago, Direct Communications attempted to sign up individually with Netflix as an Open Connect partner, but was unsuccessful at that time because Netflix required a larger customer count threshold before they would deploy their servers into the network. Fortunately , the combined customer numbers of all the Idaho independents together meant Netflix was willing to partner with Syringa Networks to deploy servers locally here on the Syringa regional network in Idaho, so all Direct Communications customers in Idaho can now benefit from being on the Netflix Open Connect network. In addition to Super HD, Netflix is experimenting with 3D video, which will also only be available to customers of ISPs like Direct Communications who are on the Open Connect network. Hopefully more devices will be coming soon, since , most notably, the Xbox is currently missing from this list. To stream titles in Super HD, your Internet Provider needs to be connected to the Netflix Open Connect network. You can find Super HD titles by looking for the Super HD logo, on the movie description page on a compatible device. At time of press, only DirectCom customers in southeast Idaho are Netflix SuperHD enabled. This feature is not yet active in Eagle Mountain. Your Netflix bandwidth preferences must be set to “Best Quality” otherwise you will not receive it. To find out how to check and change your Netflix bandwidth settings please see this support article. Super HD requires an Internet connection speed of at least 6Mb/s, and 8Mb/s to view the highest available video quality. Please ensure you test your speed as detailed here. Some other factors will also affect your ability to stream in Super HD; wireless connections from your device to your router, traffic shaping by your ISP at peak hours – sadly these sort of factors lay out of our control. PLEASE NOTE: The Adaptive Bit-rate streaming algorithm that Netflix uses to stream in Super HD, should always ramp up to the highest bit rate encode available to you that fits in the resolution you’ve set on your device. This means that if your device is not set to 1080p you will NOT see super HD. Do we have any kind of time table for when this will be available in Eagle Mountain? Soon–within a couple of months hopefully. Our crews are building the fiber line out of Eagle Mountain to interconnect with Syringa Networks at this very moment. So, Direct Com has these features (and includes ESPN3 with cable internet) it’s sweet! BUUUT, I can’t connect my apple tv to the espn app because Direct Communications isn’t listed as a provider. What should I do? The WatchESPN app that is downloaded from the Apple app store is designed only for the big mega cable companies like TimeWarner, Comcast, etc, for subscribers already paying for all the regular ESPN cable channels. Disney is very protective of their mainstream TV revenue from cable subscriptions. So, unfortunately, unless you subscribe to CableTV, you will not be able to use that app on your AppleTV. ESPN3 is Disney’s online sports channel exclusively for broadband subscribers, and is available on many streaming devices–the best being the Xbox 360 app. You can also view ESPN3 on Roku using a work-around app called PlayOn, which has an ESPN3 channel. I wish Apple had a working interface designed for ESPN3, but they currently do not have an option for that. Good luck–my best recommendation is the Xbox–it’s an amazing interface, far better resolution than anything you can get on cable TV.